Well, looking something for small tea party favours for your friends? 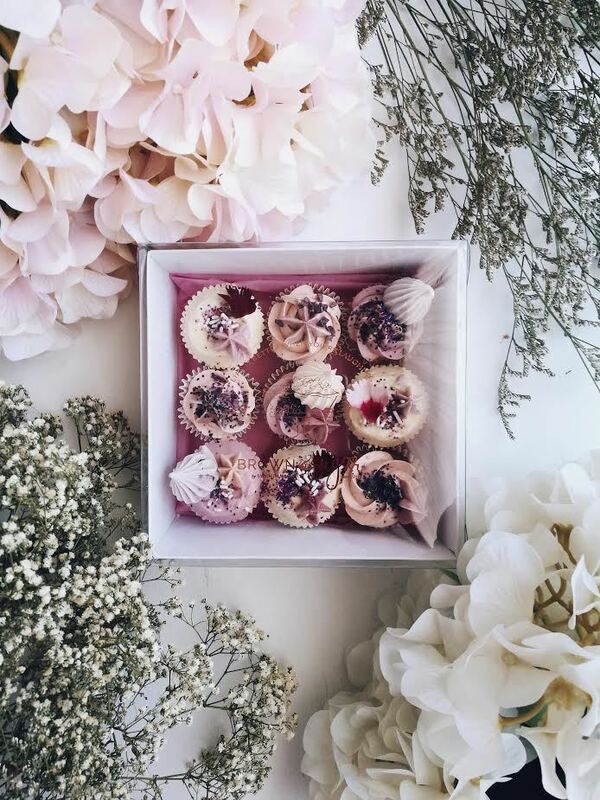 Here, our Petite Cupcakes comes with B&S Transparent box and are topped with an assortment of meringues, sprinkles and edible flowers (subject to availability). Choose your colour preference and allow us to create a beautiful assortment! Please Note: Describe your desired colour or use our colour #CODE upon your checkout. It is important to keep cupcakes at room temperature - do not refrigerate as this will dry them out. We bake our cupcakes fresh every morning, and we recommend that you enjoy them on the day that you purchase them. To preserve freshness, plastic wrap the bakery box or transfer to an airtight container.